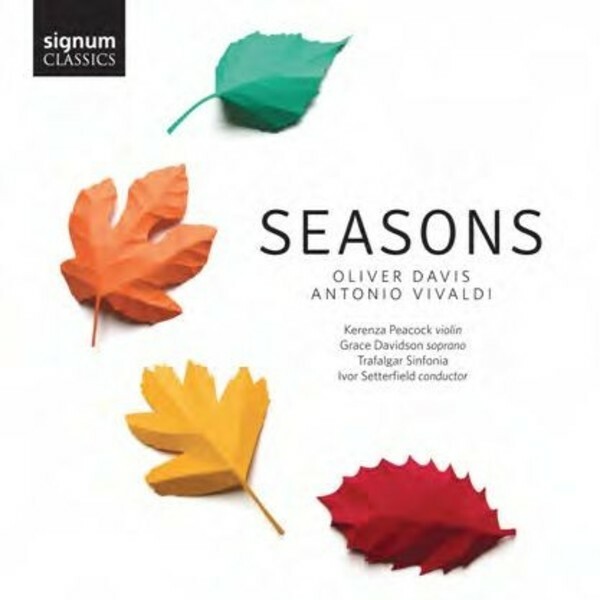 'Seasons' pairs Vivaldi’s timeless concerto cycle 'The Four Seasons', performed with flair by the Trafalgar Sinfonia and soloist Kerenza Peacock, with a new contrasting composition by British composer Oliver Davis. Inspired by the same set of poetry upon which Vivaldi based the 'The Four Seasons', his new work 'Anno' is a beguiling composition for orchestra and solo soprano, performed here by Grace Davidson. This release follows the success of Davis’ debut Signum album 'Flight' earlier this year.